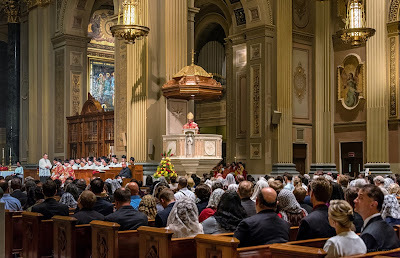 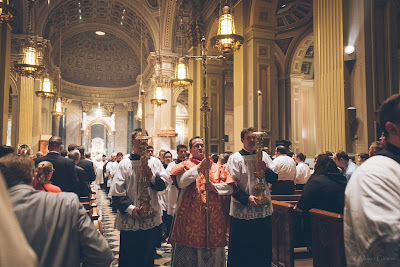 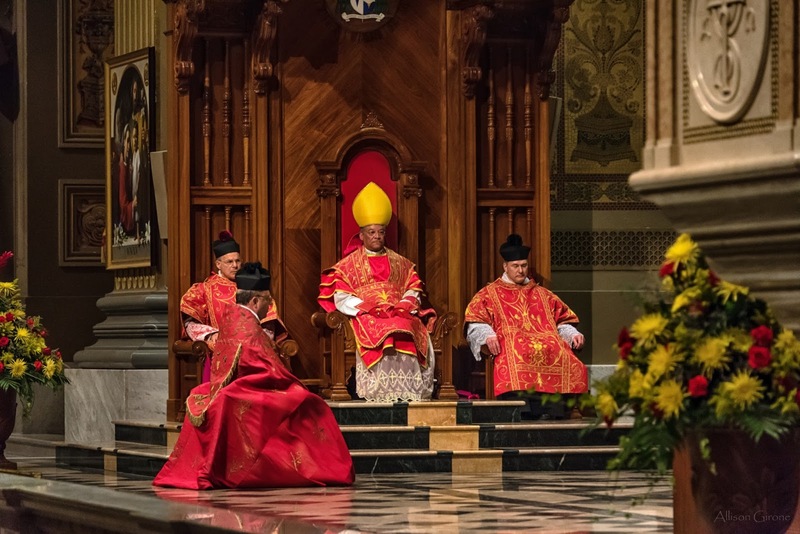 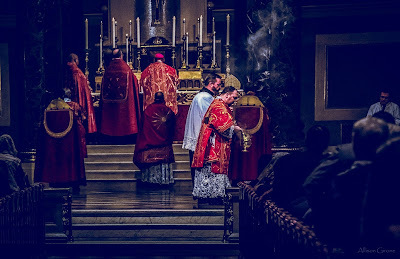 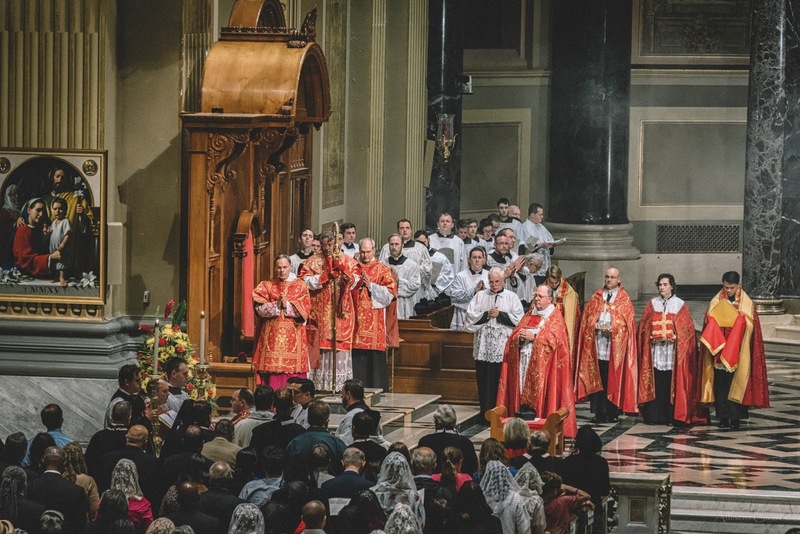 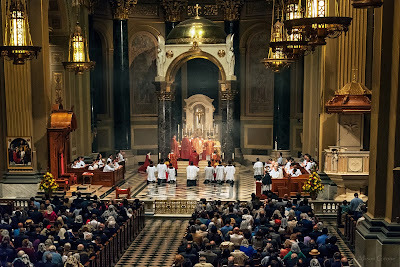 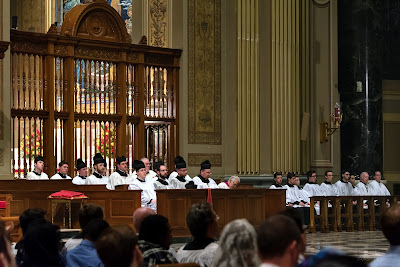 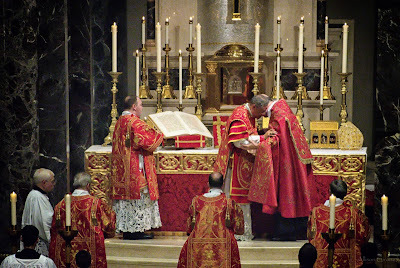 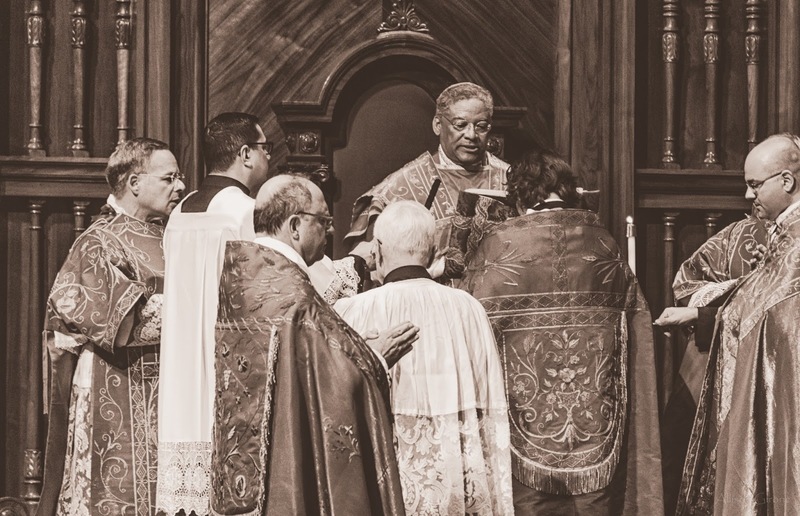 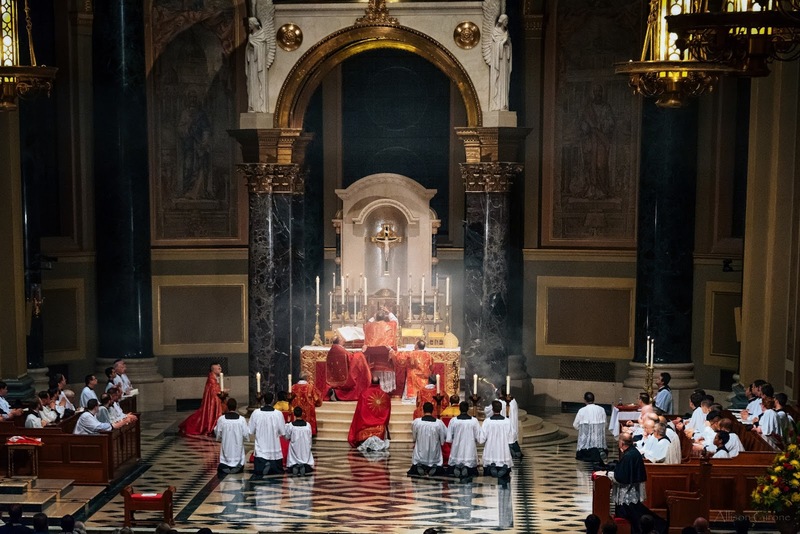 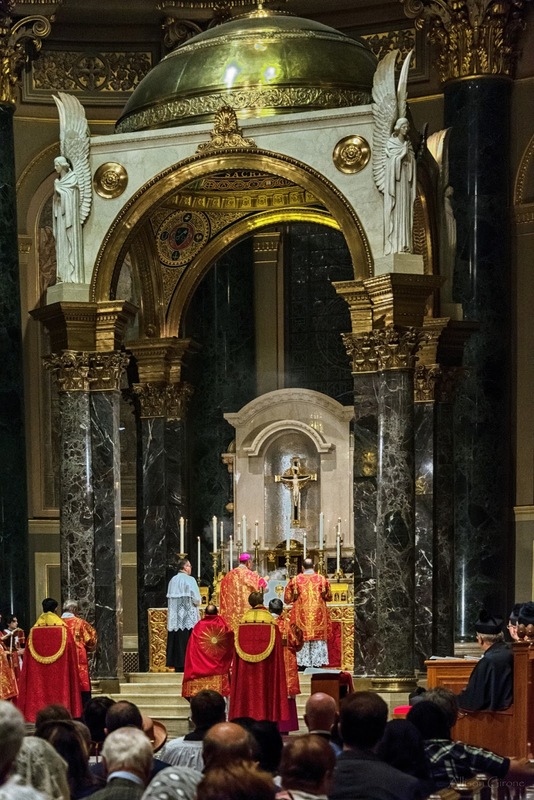 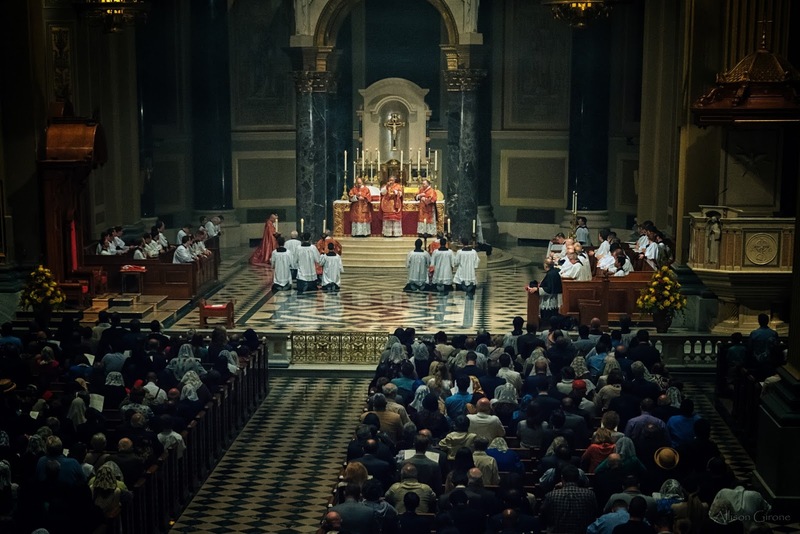 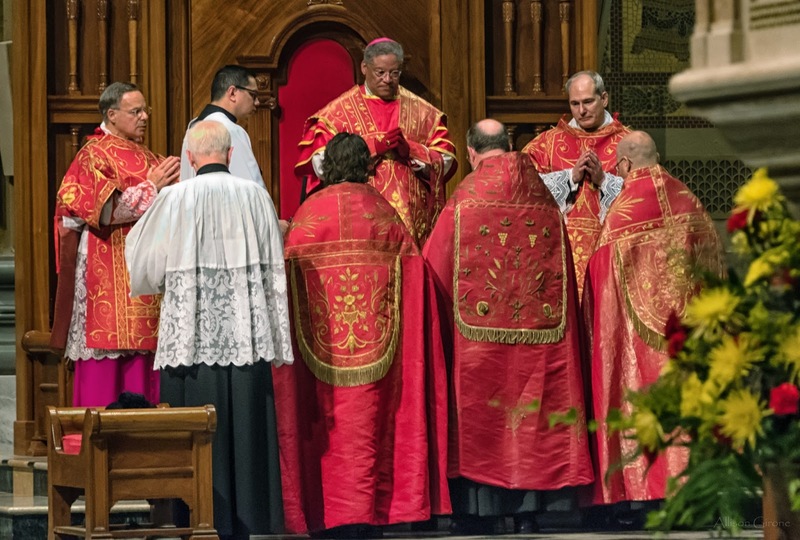 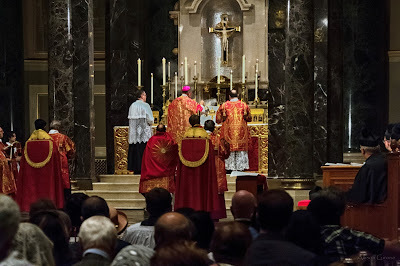 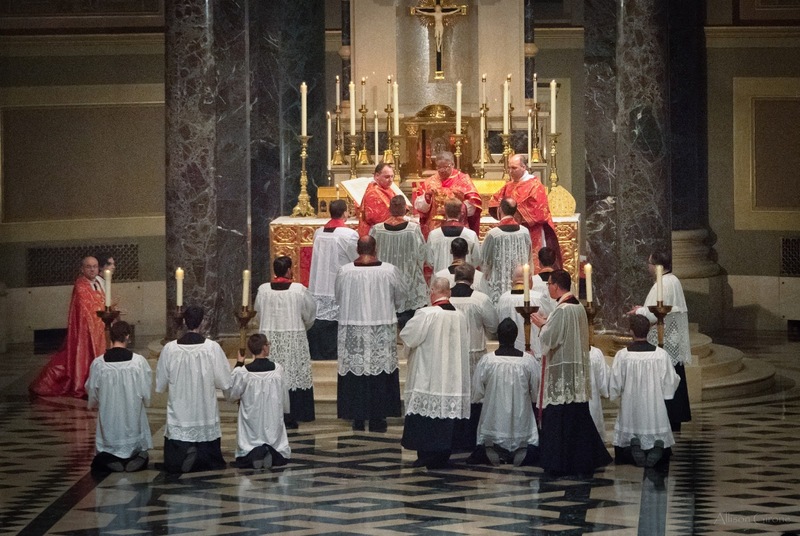 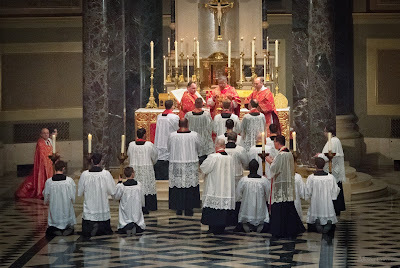 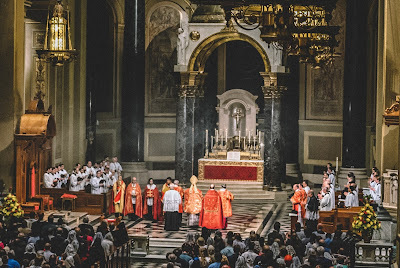 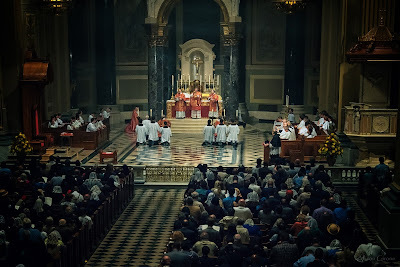 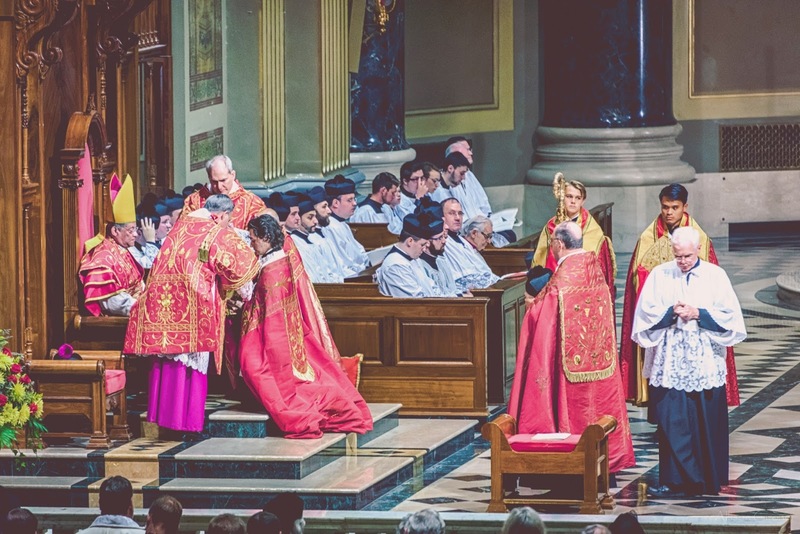 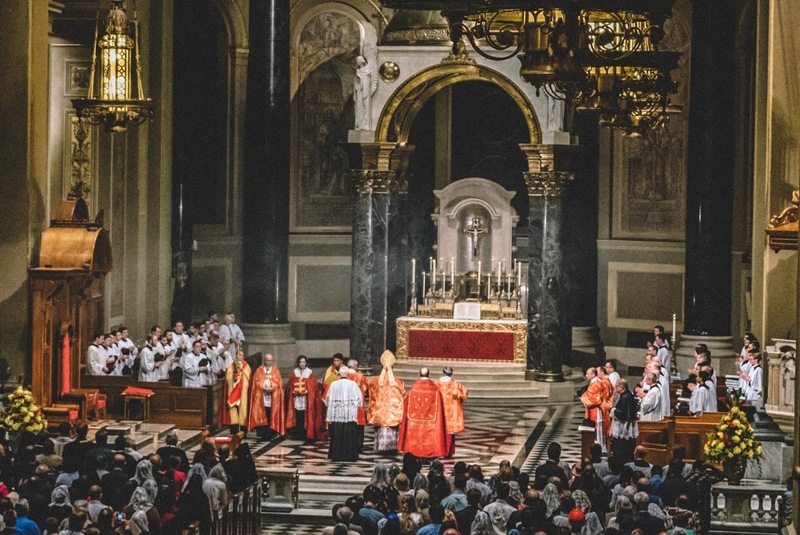 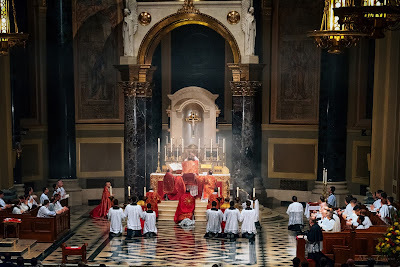 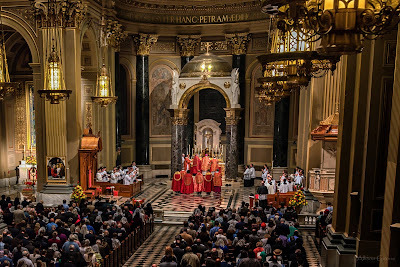 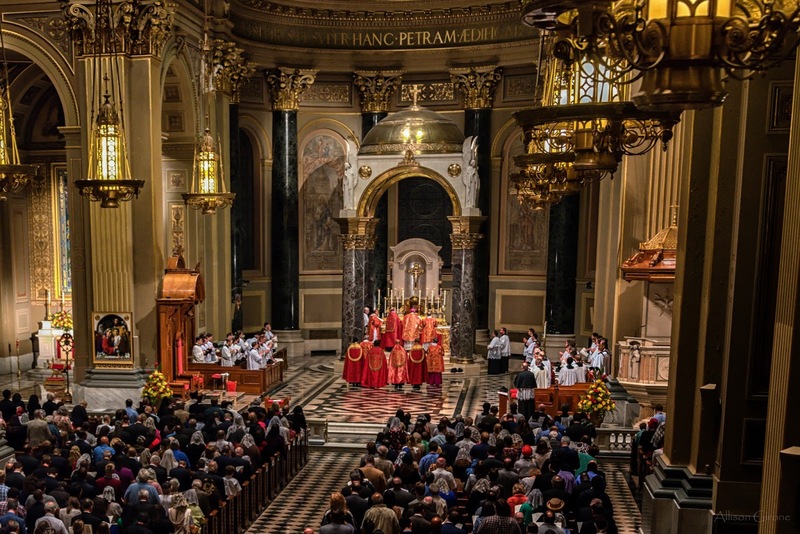 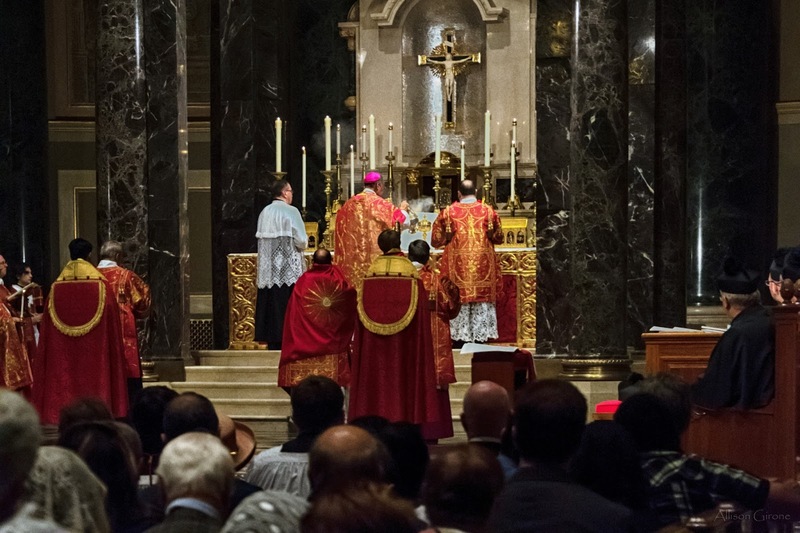 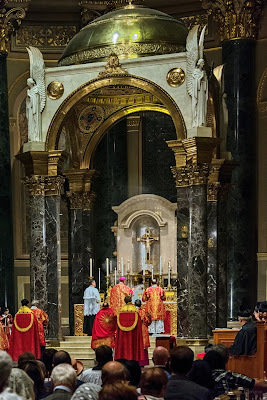 Last week, we posted the full video of the Pontifical Mass celebrated by Bishop Joseph Perry at the Cathedral Basilica of Ss Peter and Paul in Philadelphia, for the feast of the Exaltation of the Holy Cross, and in thanksgiving for the motu proprio Summorum Pontificum on the tenth anniversary of its coming into effect. 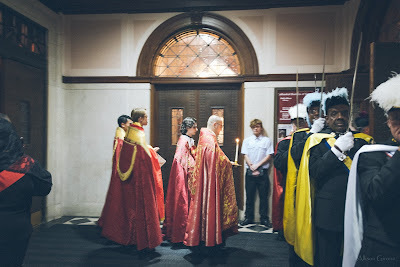 I also wanted to share some of the photos of the event, taken by Allison Girone, who very kindly offered to share some of them with us on NLM. 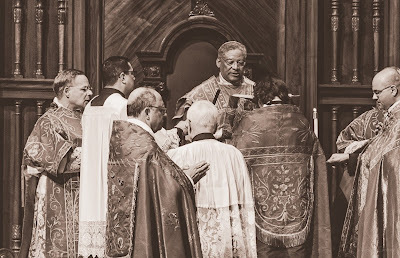 This was definitely one of those cases where it was difficult to make the selection among so many beautiful possibilities; Allison does some great stuff things with filters. I particularly like the ninth one among those I have included here, which looks like it came from a Life Magazine published in the 1950s. 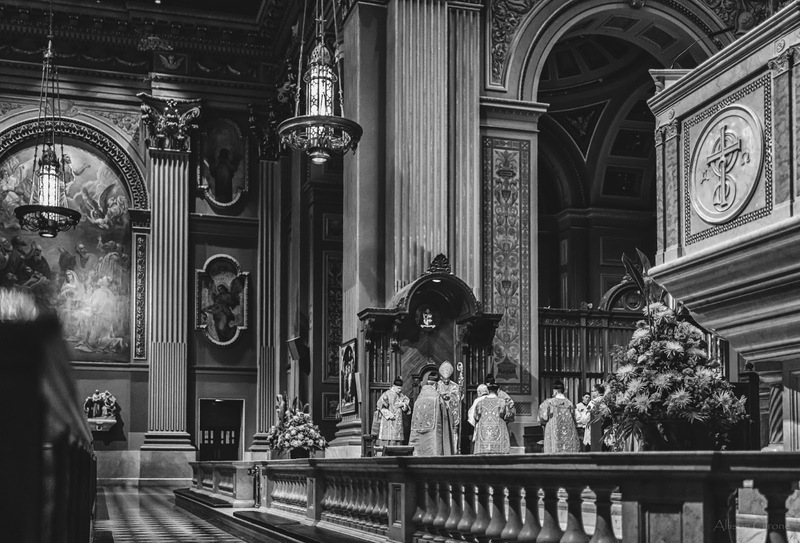 You can check out the whole set on her flickr account. 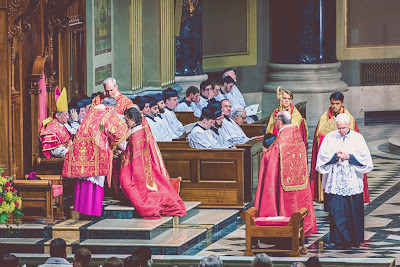 The end of the vesting at the throne.